Bayesian field theory denotes a nonparametric Bayesian approach for learning functions from observational data. Based on the principles of Bayesian statistics, a particular Bayesian field theory is defined by combining two models: a likelihood model, providing a probabilistic description of the measurement process, and a prior model, providing the information necessary to generalize from training to non-training data. The first part deals with discrete inverse problems with a finite number of parameters, while the second part deals with general inverse problems. 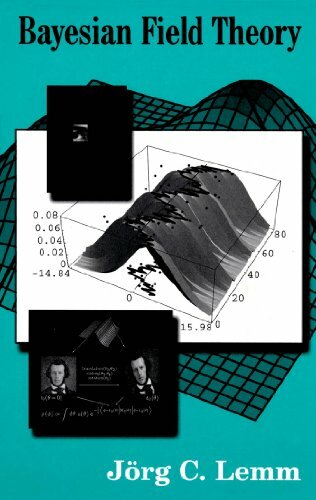 The book for scientists and applied mathematicians facing the interpretation of experimental data. In these lecture notes, a selection of frequently required statistical tools will be introduced and illustrated. They allow to post-process data that stem from, e.g., large-scale numerical simulations (aka sequence of random experiments). An introduction to the modern approach to the theory of Markov chains. The main goal of this approach is to determine the rate of convergence of a Markov chain to the stationary distribution as a function of the size and geometry of the state space. This book develops a coherent framework for thinking about factors that affect experiments and their relationships, including the use of Hasse diagrams. The book is ideal for advanced undergraduate and beginning graduate courses.